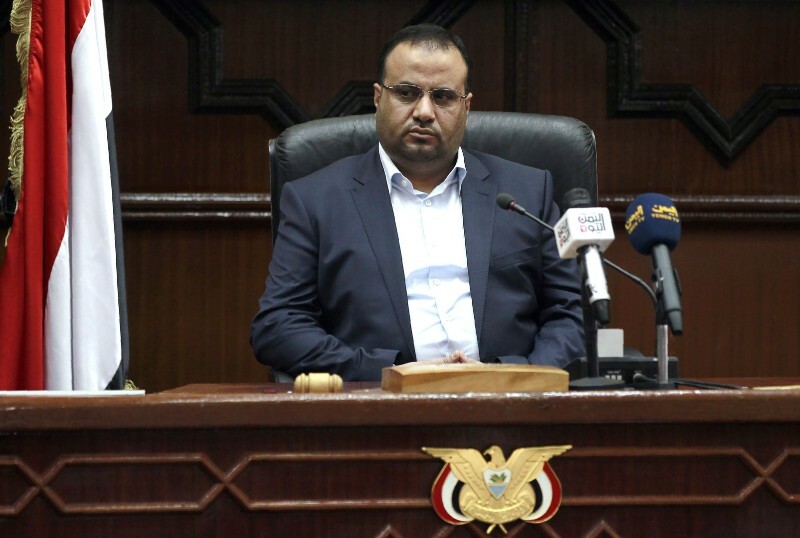 The Supreme Political Council of the Houthis in Sana’a presented the draft vision for the building of the modern state of Yemen, which shows their vision of a project to build it until 2030. The vision seemed to imitate and mimic the Saudi plan adopted by King Salman and his son, Crown Prince Mohammad bin Salman, who received it from his master America. This suggests that the Houthis and Saudi Arabia are united as puppets to the criminal America. As for the vision presented by the Houthis, it is distinctively a secular vision. Islam did not have a share either at the level of reference or at the branch level. The reference of this draft is the Constitution of the Republic of Yemen under the rule of former President Ali Saleh, who was killed by the Houthis. Hizb ut Tahrir rejected it then and issued a revocation booklet that exposed the truth of that the Constitution, and that it does not fit as the constitution of an Islamic state; because the references and articles are contrary to Islam. It is a constitution based on compromise i.e. the Western capitalist ideology, and its articles in each part did not emanate from the Islamic creed that is embraced by the people of Yemen. Also one of the references of the draft was the outcome of the national dialogue sponsored by Western colonial countries, led by America prior to the current war period between the conspirators who conspire against the country and the people. They are secular outputs that separate religion (Deen) from life and criminalize establishing parties based on Islam. It permits general freedoms including apostasy and calls for a modern civil state. It is known that the term civil state is a term that originated in the West and has a specific definition that does not deviate from the meaning of secularism. It is the separation of Deen (religion) from life and making religion as mere doctrines, worship and religious rituals only. The reality of the draft presented and the reality of the outputs of the national dialogue followed on the basis of separation of religion from life, Islam was not mentioned as a reference, and Islam, Islamic law (Shariah), Quran and Sunnah – the source of revelation – were not even mentioned even in words?! The Houthis have fooled their followers with the slogans of Aal Al-Bayt and the Qur’anic journey, and their leader Abdul-Malik al-Houthi filled his lectures with the statement “Qur’an is way of life” and they wrote it on the walls and large paintings on the streets. But this is to fool and attract people, in the name of implementing Islam and its rules, because the people of Yemen are yearning for the rule of Islam and live under the shade of the real Islamic state. How scandalous and shameful when the slogans and hollow screams are removed exposing the reality at the time of the exercise of governance and when carrying the project envisaged by these Houthis; when it is revealed that it is a secular project no matter how they disguise it by Islam or the slogan of “death to America” the sponsor of republic states, which supported the revolution of Khomeini, the founder of the Iranian republic promoting the Persian race. And now the followers of Iran proclaim the secular republican approach itself, following the footsteps of Iran and the American project in the region, and their draft expressed fighting (terrorism) as their master America wants. Muhammad ﷺ the Messenger of Allah was neither a republican nor a socialist nor a democrat nor a secularist. But followed the Deen of Islam, revealed to Him By Allah (swt), a doctrine and rules, he carried a system emanating from the doctrine of “no god but Allah, Muhammad is the Messenger of Allah”, distinct from other systems of life In form and content, why would it not be so when it is from Al-Latif Al-Khabir (the Gentle the Expert). What we warned off and exposed took place. The criminal war in Yemen happened, America wants to reach with this conflict and this war the passing of these malignant outcomes in Yemen, to repel the Muslims in Yemen from the fighting groups with the slogans of Islam, and the secularists are happy to blame the conflict on Islam to restore the same destructive secularism after the people of Yemen revolted against its injustice instilled by man-made regimes and constitutions for decades. The Rashidoon (rightly guided) are those whom Allah granted them the love of Iman and hatred of Kufur, transgression and disobedience. Those who demand a civil state to instill the method of separation of Islam from life, which was followed by the previous tyrant rulers, are not rightly guided. The rightly Guided ones are those who hate Kufur, transgression and disobedience, so which guidance do they speak about, who legislate and permit Kufur, transgression and disobedience knowingly?! This group, like its adversaries, is unjust and corrupt, if not more severe, how can one with such characters establish a state that achieves the victory and empowerment of this great Islamic Deen. Hizb ut Tahrir put in front of the Islamic Ummah an Islamic project that achieves revival, pride, security and safety. It is from the creed of Islam in each part of its parts, calling on the people of Yemen and the Islamic Ummah to see it and implement it and to walk with it to build the state of Islam, the state of the Khilafah Rashida (guided Caliphate) on the method of Prophethood; where good governance and good life and satisfaction of Allah is greater. إِنَّ فِي هَٰذَا لَبَلَاغاً لِّقَوْمٍ عَابِدِينَ “Indeed, in this [Qur’an] is notification for a worshipping people” [Al-Anbiya: 106].